A Manchester nightclub is hoping to reunite a woman with her wallet that she lost on a night out in the 1980s. The wallet, that is like a time capsule from 30 years ago, includes an ID card for Elizabeth Sarah Dale, a law student with bob hair. 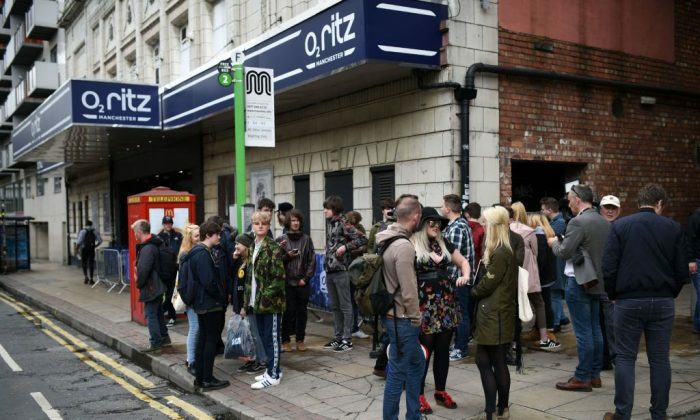 Staff at the Ritz nightclub in Manchester found the wallet behind a dusty radiator when having a clear out. “We were clearing out the other day because we’re having a refurb in the offices, and it had fallen down the back of a radiator – it must have been lodged there since God knows when,” Chris Mann, bar manager at the Ritz Manchester told the Warrington Guardian. “Inside, it has a library card, an old Midland Bank cash cheque card, about 12p in change, a hand-written invoice, a payslip with the name of the company she worked for and a photographic student ID with an address in Thelwall,” he said. It turns out the mystery woman is now a senior lawyer for the Crown Prosecution Service. She told the news outlet that she was a little disappointed that her wallet had a library pass and a residents’ association card, remarking that it’s not very “eighties rock n’ roll”.